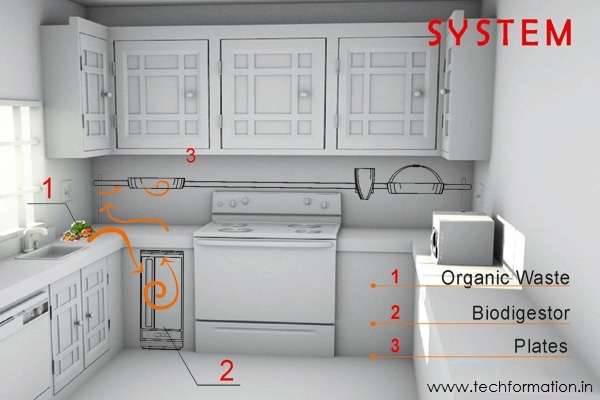 Recycling is the concept of creating something out of nothing. 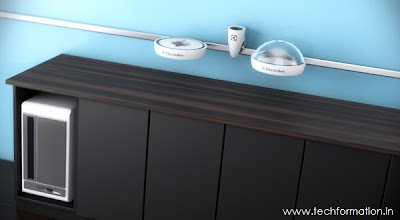 We can make use of junk material by creating something useful out of it. 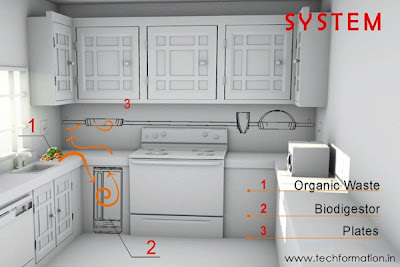 And this system didn't leave even kitchen junk go waste. 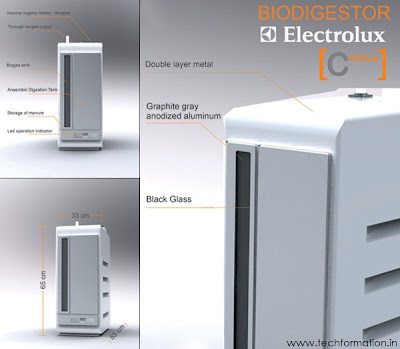 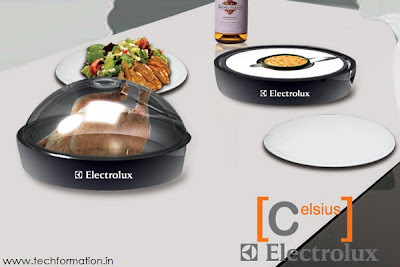 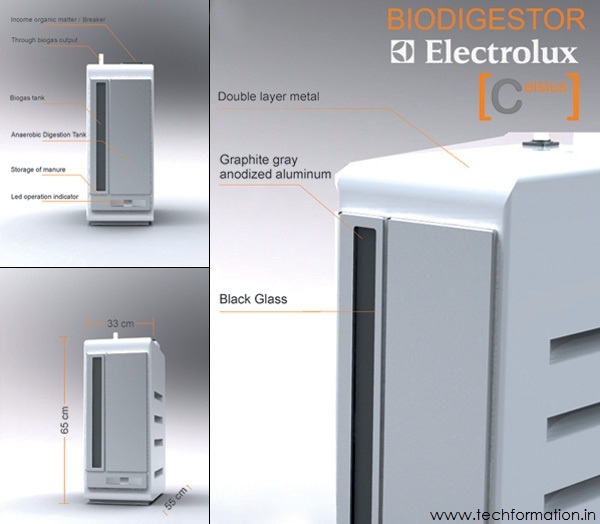 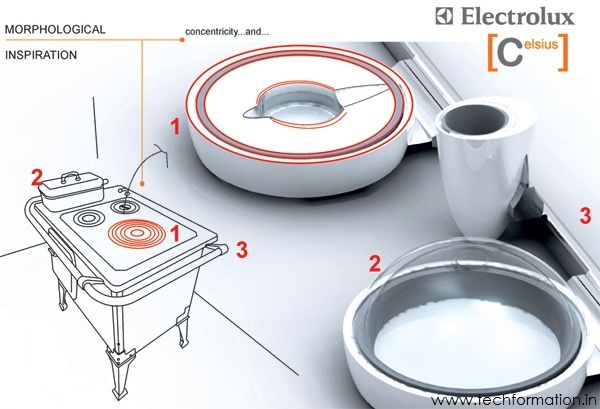 Electrolux, a good manufacturer of home appliances designed this kitchen biodigester named Celsius. All this can do is, it can convert the kitchen waste which is organic into heat energy which in turn can be used to cook the food. 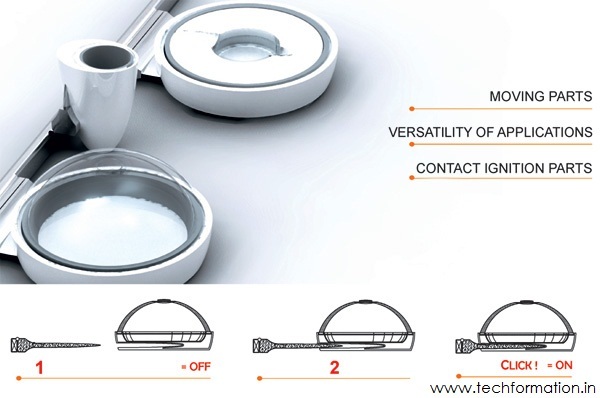 For this purpose, the device is equipped with 3 accessories for heating, boiling and juicing purposes.